Samsung and Oculus have announced a new Gear VR mobile virtual reality headset, and it's coming before Black Friday. The new Gear VR will work with any new Samsung phone and cost $99. Obviously, it is a pretty cool to experience mobile virtual reality with the new Gear VR. If you got some ISO image files, what if importing ISO files to your new Samsung Gear VR for watching via Galaxy S6 and Galaxy S6 Edge? Here we go! Since ISO files are incompatible withnew Gear VR, we need to convert the ISO image files to something like 2D MP4 or 3D SBS MP4 that Gear VR can recognize and play. 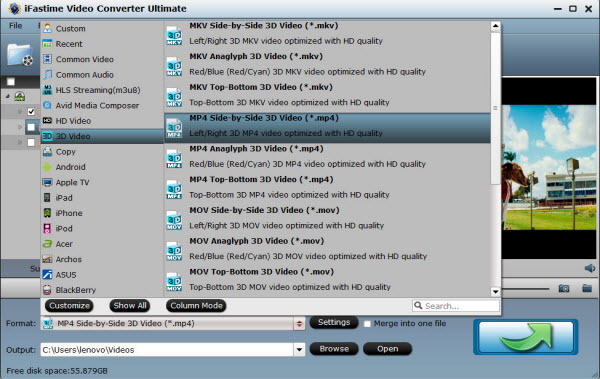 To finish task, you can get some help from the third-party software such as iFastime Video Converter Ultimate. With it, you can rip ISO to 3D videos such as MKV Top-bottom 3D Video, MP4 Top-bottom 3D Video, MP4 Side-by-Side 3D video, which can be played on new Gear VR through Galaxy (S6 Edge) perfectly. In addition, it can also convert Blu-ray, DVD and common videos for watching on 3D devices, 3D players like Stereoscopic Player and 3D Projector easily. 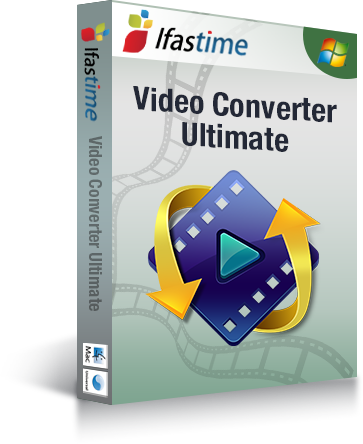 For Mac users, you can get iFastime Video Converter Ultimate for Mac. Now download the software and follow the below steps. Launch the professional ISO to new Gear VR converter. Click the "Load file(s) > Load IFO/ISO" button on top left corner to add ISO image files to it. Double click the video, you can preview the movie in the right side. Click on "Format" bar and find "3D Video", there are a lot of format options for you. "MP4 Side-by-Side 3D Video (*.mp4)" is recommended for new Samsung Gear VR. 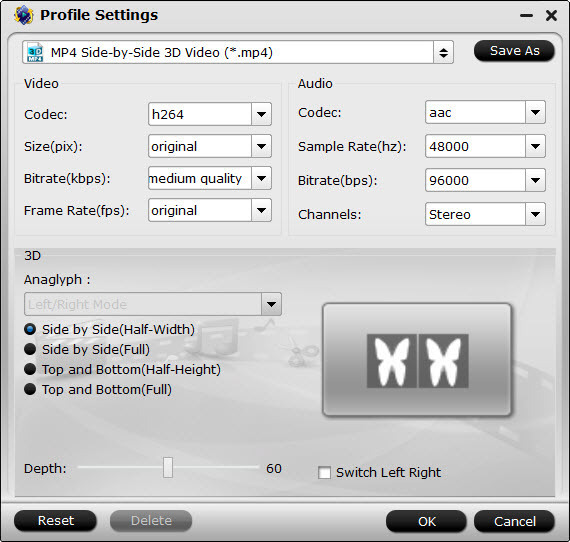 Tip: Click Settings to adjust the parameters like video codec, video bitrate, video frame rate, audio sample rate, audio channel. Keep audio in AAC or MP3. Click "Start conversion" button, ISO to Samsung Gear VR converter will start to work. Just be patient, it will not take you long time. After the conversion, place your video files into the folder named "My Videos" on your MicroSD card. 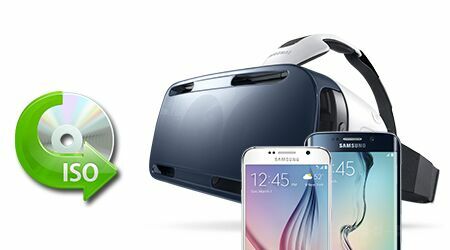 Once you have created your 3D content folder and imported compatible video files, insert your MicroSD card into your Galaxy S6 and Galaxy S6 Edge (if it isn't already), slide the phone in your new Gear VR, and put the virtual reality headset on your head. Have more questions about how to play ISO on new Gear VR via Galaxy S6 and Galaxy S6 Edge, please feel free to contact us>> or leave a message at Facebook. This tool takes the hard work out of managing ISO contents between PC and non-compatible Gear VR.